Tales from a tribble: Does This Matter Anymore Since "He Got" Bin Laden? Does This Matter Anymore Since "He Got" Bin Laden? President Obama loves to gloat over and over how "he got" Bin Laden. I personally want to thank SEAL team 6 and our heroic military for the ones who actually got Bin Laden. But this arrogant egotistical president doesn't really care what I or the rest of America thinks since this guy actually believes "he got" Bin Laden. During the two-year Fast and Furious operation, agents in Arizona with the Bureau of Alcohol, Tobacco, Firearms and Explosives allowed the sale of more than 2,000 guns to suspected criminals thought to be linked to Mexican drug gangs. The ATF planned to trace the guns over the border as part of an investigation of the violent cartels. In a stupendous demonstration of incompetence, however, the ATF agents failed to track the contraband firearms. The debacle came to light after two of the guns turned up at the scene of a shootout in which a U.S. Border Patrol agent [Brian Terry] was killed. Ft. Hood terrorist attack: Hey, Mister president, I see you're still calling this attack on great American soldiers, in which 13 were brutally shot down by Nadal Hasan at Ft. Hood, Texas an act of workplace violence. Now, finally, finally, this slime ball Muslim terrorist [yes I said it-sorry, Mr. president] will be put on trial. Oh, but wait, he gets to represent himself at trial, which means he will get to cross examine some of the victims he shot that are still living [like one he blinded in one eye]. That will be another slap in the face to the victims and their families. That is a travesty that the families of the victims will have to endure some more heart wrenching days. Oh, president Obama, will you ever grant some measure of justice by calling Hasan an Islamic terrorist?-Oh, wait, I forgot, you got Bin Laden. Khalid Sheikh Mohammad This guy was the mastermind of 9-11. While Bin Laden was the leader of Al Qaeda, this guy planned and perfected the attack on the twin towers in 9-11-01. Without KSM, there might not have been a 9-11 attack in America. He was captured in March of 2003 and still hasn't been brought to justice. Remember Eric Holder and the administration wanted to bring him to NY for a civilian trial, but when that idea was shot down by congress, Holder gave a whining press conference about how he would have to be brought to justice by a military trial. Is Attorney General Holder [I say those words with no comfort] showing congress [and us, the American people] the finger by not bringing KSM to justice?-Oh, wait, I forgot, president Obama got Bin Laden. Keystone Pipeline: Whatever happened to the answer on whether the United States would or would not agree to the Keystone Pipeline extension that was proposed that was approved in March of 2010 by the National Canadian Energy Board? We had environmental studies and state studies and excuse after excuse why no decision could be made as of yet. The last I remember and I could be wrong, I thought it was supposed to be Secretary of State John Kerry [sworn in in February of 2013] that was supposed to make the decision of whether to give the Keystone Pipeline a go ahead. What happened? Will this administration ever approve the Keystone Pipeline?-Oh, wait, I forgot, the president did get Bin Laden. Benghazi: President Obama, in lying rhetoric at a memorial service with the families of those Embassy employees killed in the 9-11-13 Muslim terrorist attack, told the world that his number one objective was to bring those "criminals" [I guess he would call them] who committed the murders to justice. That was almost 9 months ago, Mr. president. 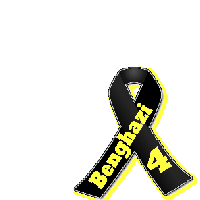 For all your "concern" about bringing the killers to justice, maybe I've missed it but I sure haven't heard you talk about bringing justice for the Benghazi four in a long time. Have you forgotten Mr. president? You sure haven't forgotten how to play golf, or have party time in the White House, or give political speeches. Ah, priorities, priorities. So, prez, are you ever going to bring justice for the families of the heroic Benghazi four?-Oh, wait, I forgot, you got Bin Laden. According to mr i really do support israel, trust me i knew nothing, im for the middle class , the war on terror is over , so your post has no relevance------ the average American is like a stork with head in sand, only unlike a stork they get to vote, and all us birds suffer the consequences ( see White House )! Yep Brad, you nailed it. Elections have consequences and we are suffering the consequences. When you see those "man on the street" interviews they sometimes have of unintelligent, uninformed voters [most of those the ones that don't pay taxes - the takers in society]and realize their vote will in effect cancel out someone like the brilliant Dr. Krauthammer, you realize the trouble America is in.